Looking For Flowers & Gifts? Providing the Very best in flowers for San Antonio, TX San Antonio Flowers offers the highest quality flower bouquets, plants and sympathy flowers in San Antonio, TX. Order flowers online with same day delivery from our San Antonio florist. 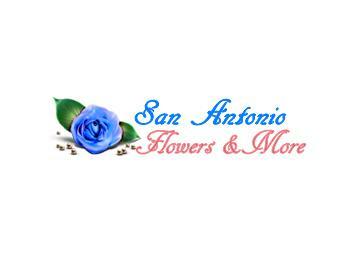 San Antonio Flowers and More proudly serves the San Antonio area. We are family owned and operated. We are committed to offering only the finest floral arrangements and gifts, backed by service that is friendly and prompt. Because all of our customers are important, our professional staff is dedicated to making your experience a pleasant one. That is why we always go the extra mile to make your floral gift perfect. We guarantee 100% satisfaction on all floral and gift items. Let San Antonio Flowers and More be your first choice for flowers. Products Carried: Anniversary Flowers, Birthday Flowers, Beautiful Plants, Beautiful Roses, Congratulations Flowers, Christmas Flowers, Corporate Gifts & Flowers, Fall Flowers, Get Well Flowers, Gift Baskets, Gifts and Gift Items, Grandparents Day Flowers, Just Because Flowers, Love and Romance Flowers, Make Someone Smile Flowers, Mother's Day Flowers, New Baby Flowers, Patriotic Flowers, Sympathy & Funeral Flowers, Spring Flowers, Summer Flowers, Thanksgiving Flowers, Valentine's Day Flowers etc.